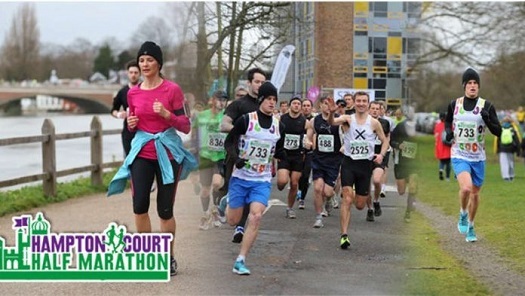 The Quicksilver Hampton Court Half Marathon is the original race in the area. It is a visually stunning race, with many sights to enjoy en route. The race starts and finishes on Giggs Hill Green in Thames Ditton. It follows a route over pavement, cycle track and riverside path incorporating the historic Royal Borough of Kingston upon Thames Marketplace, the iconic three mile stretch of the Barge Walk and the magnificent Hampton Court. And King Henry VIII will be there to cheer everyone on.